LIMITED SPOTS CAN BE BOOKED BELOW. THESE SESSIONS COMPLETELY SELL OUT EVERY YEAR. 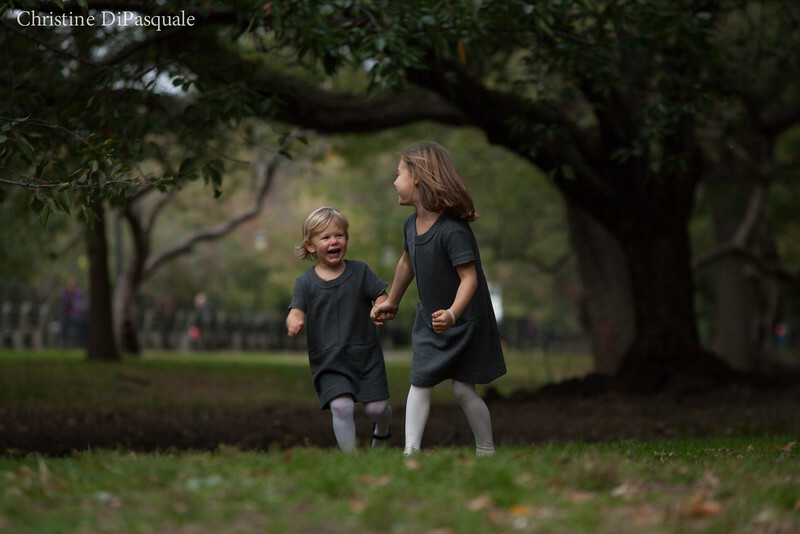 My Petite Fine Art Portrait Sessions take place in select locations in and around Riverside and Central Parks, depending on which day you book. We'll capture gorgeous, creative images together in a fun, easy and carefree session. My goal is to create beautiful fine art images that you and your family will treasure forever. The non-refundable retainer is $200 ($100 for PS166 families) and is due upon booking your session below. This non-refundable retainer is a deposit only and covers the time and talent of the photographer, the balance of $150 is due upon delivery of the online gallery of photos for your review and includes three (3) hi-resolution digital files. Shortly after our 30-minute session, you'll receive a password-protected online gallery to view and choose your three (3) digital images. The files will be sent to you upon payment of the balance due. Additional hi-resolution images, wall art and photo albums are also available for purchase. • BE SURE TO CHOOSE IF YOU'RE A PS166 FAMILY OR NOT (all names are confirmed with the school), then choose the date, time and location of session. • Every date has multiple time slots available. First choose if you're a PS166 family or not, then click on the pull down menu that lists the times available on each day. If the first time listed says BOOKED, it just means that the first spot of the day has been booked, there are other times available unless the day is listed as SOLD OUT. • Book an early date! The foliage and weather are gorgeous and ideal throughout September and are almost always best before mid-October. Although a backdrop of colorful leaves can be beautiful, nature doesn't always cooperate. After mid-October, the foliage begins to wither and it gets much colder. 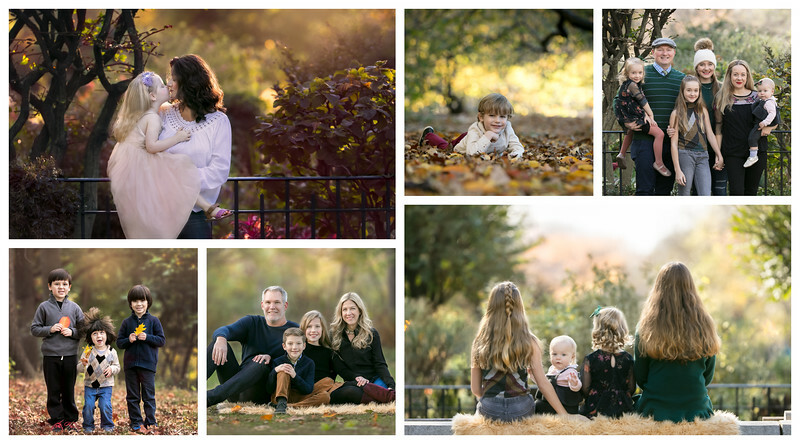 If you don't mind the cold, I'm more than happy to book late Fall sessions but keep in mind that jackets and hats are often required in November. • Sessions will only be rescheduled due to rain or temperatures below 40 degrees. In most cases, the decision to reschedule won't be made until the day of the session and then will be moved to a mutually agreed upon day. If we can't find a date that works in the Fall, credit will be given for a future session. • Two to three weeks after your session, your portraits will be available to view and select. Three digital files are included with the petite session. Additional files, albums, wall art and prints are also available for purchase. For the Fall promotion only, the entire gallery of approximately 30-40 edited, hi-resolution portraits can be purchased for an additional $250. • All sessions booked after November 19 are an additional $100 retainer. 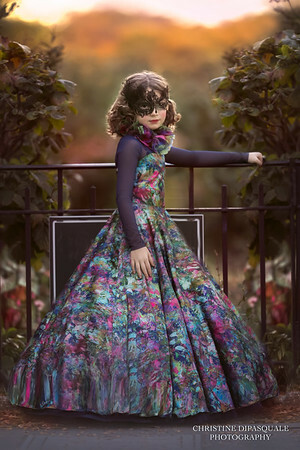 I HAVE A LIMITED SELECTION OF BEAUTIFUL DRESSES AVAILABLE FOR RENT IN SIZES RANGING FROM 4-12. PLEASE CONTACT ME IN ADVANCE OF OUR SESSION IF YOU'RE INTERESTED IN RENTING ONE FOR YOUR PHOTO SESSION. EMAIL ME DIRECTLY ABOUT THANKSGIVING WEEKEND SESSIONS. I TRY TO KEEP THESE RESERVED FOR MY FAMILIES WITH KIDS HOME FROM COLLEGE. After you book above, you will be sent details about our session and the specific location where we'll meet. The cost of each session includes a phone and/or email consultation prior to your appointment, the actual session time, all post-processing and artistic retouching of your photos. Each photo session is for one (1) single family, up to two (2) adults and four (4) children. Additional adults and/or children are $30 each, up to a maximum fee of $300. Artistic retouching is included with all prints and digital images but there may be additional fees if significant photoshop editing is requested. By paying for the session fee, you agree that all images are the property of Christine DiPasquale Photography and can be used for marketing purposes - print, online marketing and social media. Prices are subject to change until session is booked. Every year I provide a discounted session fee for families who attend PS166. If your child is enrolled at PS166, you are eligible for the reduced rate. I check all family names with the school, so please only choose the reduced rate if you're enrolled at 166. Over the past few years, I've donated over $6000 to PS166 from my mini sessions.